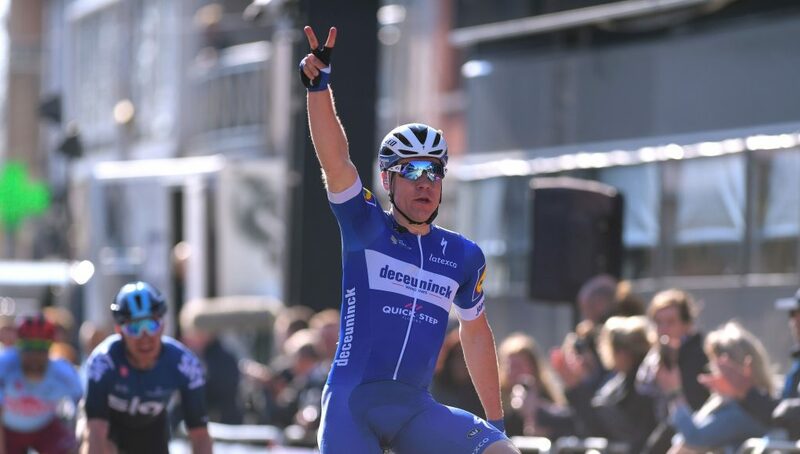 Fabio Jakobsen (Deceuninck – Quick-Step) took his second victory of the season today as he won Scheldeprijs, two months after collecting his first victory of the season, at the Volta ao Algarve. 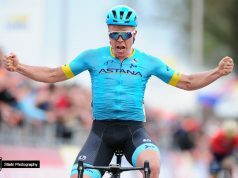 The 22-year-old fast man capitalised on his teammates’ superb work and quality lead-out in the final kilometre of the race and delivered a fine sprint inside 200 metres to go, holding off the challenge of Max Walscheid (Team Sunweb) and Chris Lawless (Team Sky) for his second consecutive triumph at the Belgian event. “To be on the winners’ list here with two triumphs makes me very happy! The guys did an amazing job from the start, for which I am extremely grateful. I knew that I had a strong sprint in my legs and riding with bib number one on the back gave me a lot of confidence, and at the end of the day I am glad I could repay my team for their hard work”. 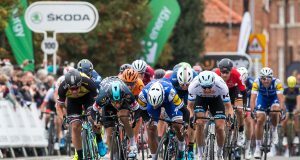 Flanders’ oldest race started again from the Netherlands and that spelled chaos minutes after the peloton got underway from Terneuzen, with the crosswinds shattering the bunch to three distinct groups. Some riders managed to come back, but things remained quiet for just a brief moment, echelons splitting the peloton and making for a hectic race until the riders entered in Belgium for the final 60 kilometres. Before leaving the Netherlands behind, several riders were involved in a crash, Fabio Jakobsen being among those to hit the deck. Luckily, he escaped almost unscathed and after a fast bike change he made it back to the peloton, helped by his Deceuninck – Quick-Step teammates. The two riders who animated the second part of the race were easily brought to heel by the reduced bunch, before another crash – this time with less than 20 kilometres to go – took other riders out of contention. Edvald Boasson Hagen (Dimension Data) then clipped off the front and built a 20-second lead, which Iljo Keisse and Florian Sénéchal expertly clawed back in the closing stretch to Schoten. Davide Martinelli took over and put in a mammoth pull, slotting Michael Mørkøv and Fabio Jakobsen in a perfect position under the flamme rouge. The Danish champion then launched the defending champion, who came around and powered past his opponents for the win. 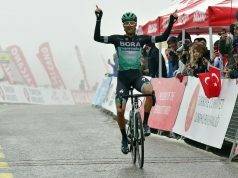 “I was on the mend after Volta ao Algarve, where I got sick, so to get this win is very important for me, but I wouldn’t have done it without my teammates, who totally bossed the finale and showed how strong they are. The race was very tense, with the echelons and the narrow roads which only added to the nervousness of the bunch, but I remained calm and focused on doing my job. 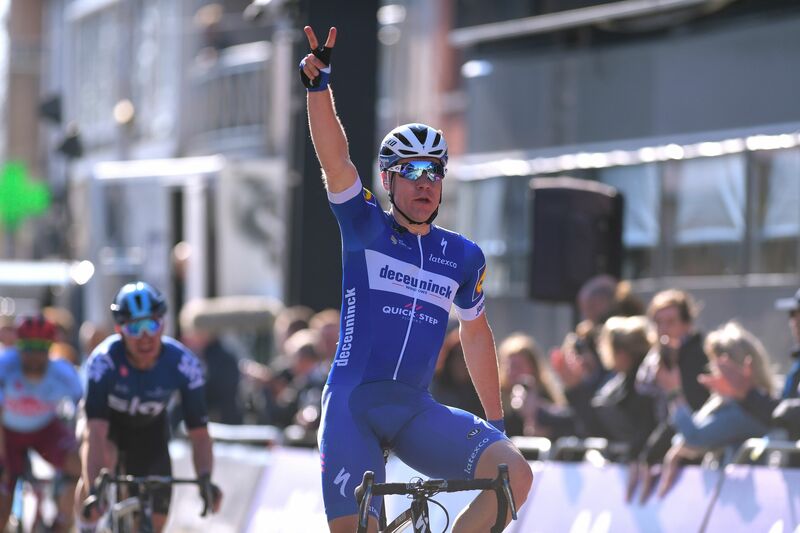 There was some pressure today on our shoulders, but we thrive in these conditions”, explained the youngest rider in history to amass two victories at Scheldeprijs.